I’m writing this from my iPad in a cold, dark house lit only by a few candles and a single LED lamp running off a battery. 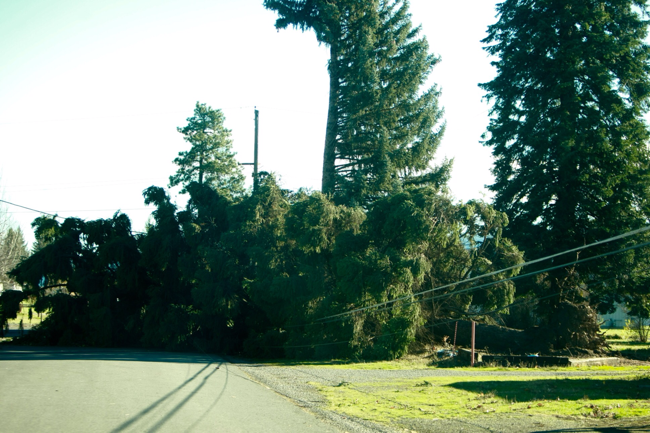 Earlier this week a record-setting windstorm blew through, uprooting massive pine trees and knocking out power for over 200,000 homes. Mine was one of those, and the weather station on the roof clocked a top wind gust of almost 72 mph shortly before losing power, a victim of a snapped power pole a couple blocks away. The only saving grace so far has been a gas hot water heater and gas stovetop. I make the majority of my income from development, an activity that is completely dependent on the availability of electricity. These few days have cut my productivity to almost zero — batteries only last so long before needing a multi-hour recharge, which has turned out to only be available at fairly inconvenient locations. No productivity means no client work getting done, which also means no income beyond the residual sales from Portfolio and Studio Pro. Hopefully the generator arrives soon.